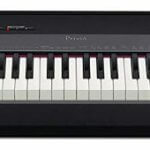 The Casio Privia range has long been mimicking some of the top features of their rival manufacturers in an attempt to undercut prices and deliver high quality instruments with exceptional features. This, their latest offering has a range of features that attempts to capture almost every great feature from a wide range of instruments and roll them into one instrument with a price tag around the $600 mark. An in-depth review of all the features available would run pages long and there is a lot to be admired from this well made and stylishly presented instrument. It is one of Casio’s best sounding and most playable keyboards to date. Does it make the grade though? Read on to see what we think. Casio have a new technology behind their sound production known as an acoustic and intelligent resonator or AIR for short. This has truly revolutionized their sampled sounds and with the large number of tones available (250 in all), Casio provide a spectrum of tones that really have some of the best depth in a Casio keyboard I have yet heard. The piano tones are rich, warm and resonant and deliver an authentic tone. Electronic pianos offer many traditional options such as Rhodes and Wurlitzer and deliver some of the characteristic feels of these unique instruments. A wealth of other tones round out an exceptional choice of really useable sounds and the sounds have a range of added effects which make them more customizable. With a great scaled hammer action, a three pedal option that delivers full half-pedalling ability and a feel of synthetic ivory for the white keys and ebony for the black keys, Casio have covered every base in attempting to provide the authentic touch of a piano to this digital instrument. And dare I say it; I think they have achieved it. There aren’t other instruments in this price range that feel even half as good as this one. It also offers three levels of touch action and an off switch for a 4th option of using the keys without any adjustment to the feel. The touch options offer a range of responses for musicians with a lighter playing touch to those that are a little more determined in their playing style. 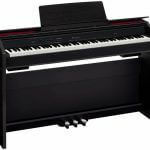 The keyboard delivers an authentic piano response as well as a range of great feels for other tones that genuinely responds to the different registers in true fashion. Unique to a digital piano of this nature is the one touch accompaniment features usually seen on smaller 61- and 76-key entry level electronic keyboards. Surprisingly it makes for quite a refreshing change to instruments of this nature and provides a large range of complex rhythm and accompaniment styles to satisfy both novices and accomplished players alike. The fact that these features can be used on 88-key fully weighted keyboard gives many more thrilling opportunities to explore musical skills than the smaller keyboards can deliver. Also since the sounds on this instrument are much better than those of the smaller keyboards, one gets richer accompaniments and more realistic drum rhythms that give the instrument far more scope for this kind of feature. There is an option to record and store performances and songs. Songs can have separate tracks (up to 17) for really top end performances. There are also a range of tone adjustments and modifications such as reverb, chorus, brilliance, pitch bends and the like. Different modes offer splitting, layering duet and keyboard shifts. 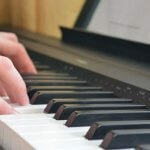 Other functions include transposing, tuning and auto-harmonize. The keyboard also offers a range of inputs and outputs to connect to numerous devices such as iPads, computers, pedals, other instruments and the like. A strong pair of built in speakers also mean that one doesn’t have to have alternative amplification and can switch on and start playing. For Casio this may have been a marketing risk as there is not much else on the market that compares with this instrument. It is a keyboard with features that many entry level keyboards have, but it sits way outside the price range of keyboards that normally offer these features. It is a stage piano but lacks some of the advanced layering options and sound-scaping capabilities of a full stage piano. It is a digital piano but more portable. It is a synth but lacks the all the sound altering filters and algorithms that go with full synthesizers. Nevertheless not quite knowing where it fits in doesn’t mean that there isn’t much to like. The feel is superb with a well-made weighting mechanism that responds to different touches through a range of adjustments and offers keys of synthetic ivory and ebony feel (beautiful). With the SP-33, three pedal unit, one has the full functionality of grand piano that responds to advanced playing techniques and includes the ability to use half-pedalling effects. The accompaniment features offer a huge range of beautiful rhythms, accompaniments and harmonizing features. 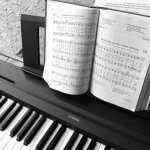 This really adds interest to musical discovery and even more advanced musicians who usually shy away from such features will be drawn in to perform alongside the wide range of options. 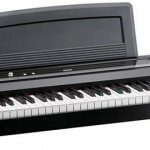 There are a large number of rich, complex tones that show a marked improvement in quality with the use of the AIR technology now being used by Casio. The sounds give scope for excellent expression and nuance. They are also warm and resonant, with a sense of realism. The range of sounds available gives users a substantial choice and some space for user creations is also available. I am not sure who the keyboard is marketed at. It may be a bit too expensive for beginners who would love all the accompaniment features. However, it lacks the teaching facility that often comes with these models and so may not be a consideration for these buyers. As a synth or stage piano it falls short by lacking key elements of layering and sound adjustment through sliders and knobs, so has limited expression. While it feels like and responds as well as an acoustic piano, it doesn’t look the part of a digital piano. It generally comes across as an instrument with an identity crisis. While the accompaniment features are really good, they give the keyboard the feel of being made for the beginner/intermediate player. The great sounds lack the customizable layering and modifications that would be expected form a stage instrument and though there are truly professional sounds on board, live performers will find this lack of versatility in shaping the tones a little disappointing. So would I buy one? – Only if I had spare cash. It is a nice instrument to play on and I think it would provide hours of fun musically. It makes for a great instrument but I am not convinced it can be taken seriously. I wouldn’t arrive at a gig with it. I also wouldn’t use it in a school or studio. And yet it is a really fun instrument to play on. Nothing about its feel and sound is off-putting. I imagine that it is going to appeal to those beginner and intermediate musicians who have the money to spend and like something that is a little more ‘showy’. It’s a bit like having a day at a theme park-tremendously enjoyable but not something one will do every day. Casio may need to relook their target market on this one but I do hope to see more of the feel and sound in this instrument showing up in future models.